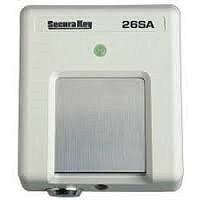 Securakey 28SA/SM Touch Card™ technology combines legacy card technology with a high-tech solid state reader. The touch cards contain a Barium Ferrite insert, which is encoded by magnetizing spots in a specific pattern with specific polarities. 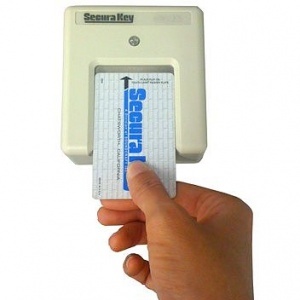 While the original mechanical technology used an insert reader with small magnets and a micro switch, the patented slotless TOUCHCARD™ reader uses sophisticated Hall-effect sensors to read the cards through a stainless steel plate, and it is protected from weather and vandalism. 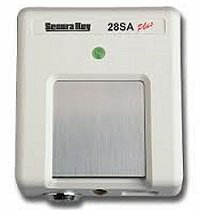 Online Version of the Securakey 26SA/SM Touch Card™ Reader.